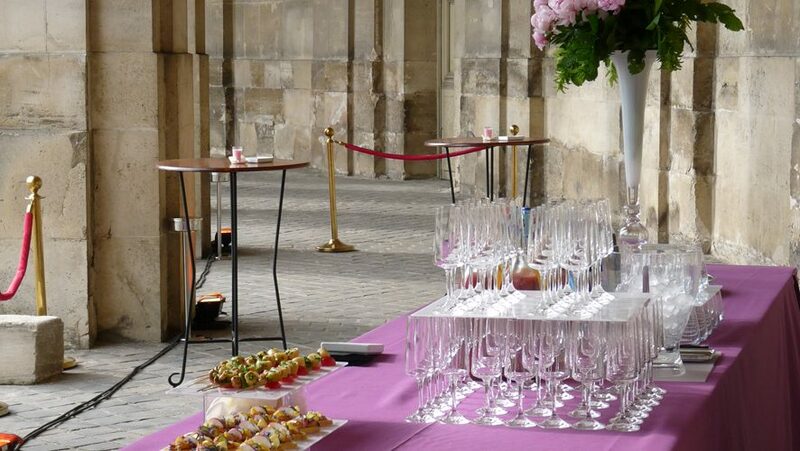 Just in front of the Palace of Versailles, in the Royal Stable, is a magic and underestimated place, a gem for your prestigious evenings. Prestigious by its history, and from now on by its creations of unique equestrian ballets, the site offers itself to business events, with the promise of an exceptional night. Thus, it is possible to privatize The show La Voie de l’écuyer, choreography by Bartabas, which, by the elegance and the virtuosity of horses and their riders, will transport your guests. (A short version is also available). The Indoor Arena was designed as a stage set, a small case of raw wood put in the stony envelope. Maximum capacity: 450 people for cocktail, 300 people to have dinner sat. The Lounge Nuno Oliveira is a warm gallery, with fantastic view over the Palace of Versailles, pleasant as well for a cocktail as for a seated dinner. Maximum capacity: 120 people for cocktail, 80 people to have dinner sat. These evenings prestige, through the show, the visit of the stables and an exceptional dinner, have each marked minds of the vast majority of the guests. 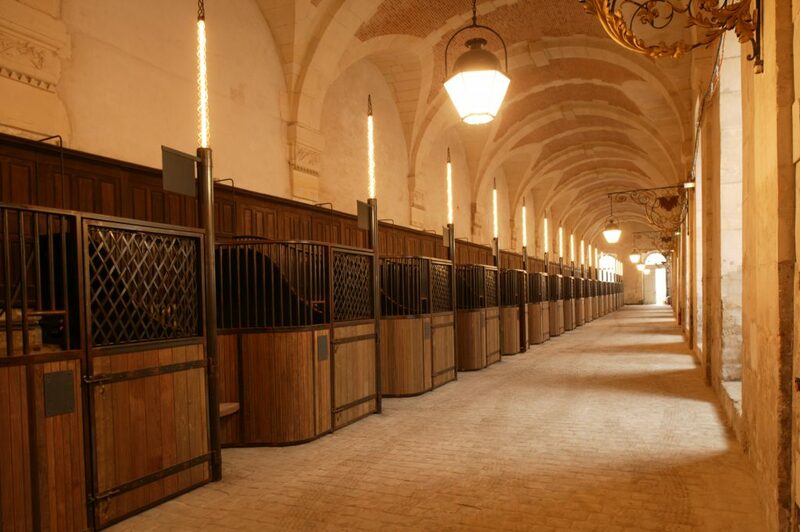 Recently, we also offer prestigious visits (aside from the opening hours to the public) of the Great Stables and the luxurious Arena, accompanied by a cocktail in the lounge Nuño Oliveira, with a unique view on the Palace of Versailles. From 2 to 50 people. 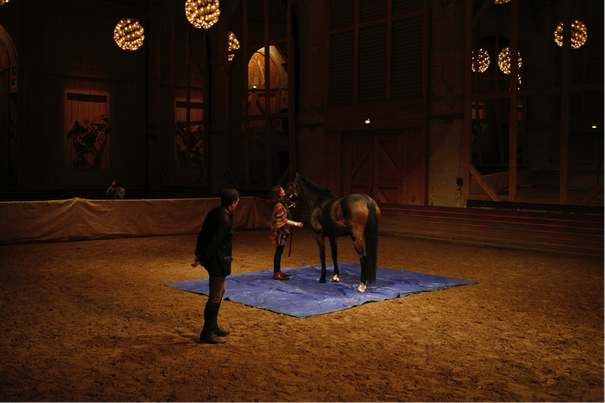 The equestrian Academy of Versailles joins to the company Marques and Values to propose equicoaching within the Great Stable. To be confronted a few minutes with a free horse can change in a determining experience. The horse becomes a great mirror of our feelings, by acting as a revelation of our way of being with the others. The equicoaching leaves this report to work on the management of the stress, the assertion of one or the respect for others. The equicoaching supplies keys to learn to create link or to improve its nonverbal communication; the equicoaching allows to explore the tracks of a collaborative, open and human management.